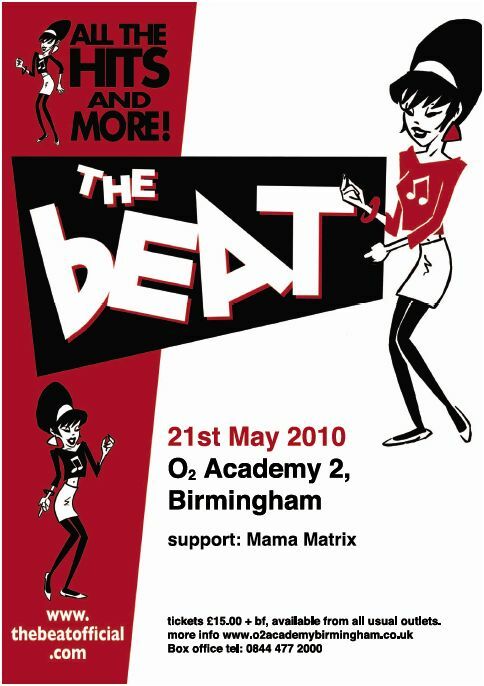 Ska legends The Beat loved the Mamas so much when they played together in Sheffield last year that they’ve invited Mama Matrix to support them at Birmingham’s O2 Academy on May 21st. 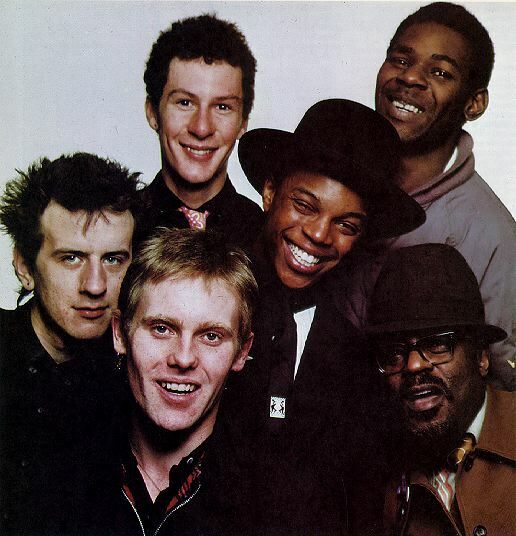 Originally formed in 1978, at the height of socio political upheaval, The Beat’s defiance of conventions and unashamedly multicultural influences rang true with Birmingham’s rebellious youth, and they hit the world’s stages with rock heavyweights The Pretenders, David Bowie and The Clash, notably putting their name to the Campaign for Nuclear Disarmament before they parted company in 1983, with 5 top ten singles, a gold and silver studio album to their name. Following a sold out one off concert in 2003, The Beat hit the road again and have been touring ever since. Their 2010 tour takes in venues across the UK, and there sure to be on top form in their home city of Birmingham on May 21st. The sheer size of the sound by this 5-piece band was way above the size of the main room at the Adam and Eve, which was full to the brim with fans. The set started with Daz’s huge voice screaming “Destroyer! !” a classic tune which set the fast and manic pace of the evening. Clever and witty lyrics, accompanied by Anne’s dextrously gorgeous and hypnotising violin and a somewhat twisted jazzy drumbeat all the way, a dreamy and unexpected electric guitar and a very heavy & bassy tuba pushing through the night. With all this going on you can’t help but be swept along blindly without a moment to stop and get a drink! Though they passed through a couple of somewhat slower tunes, even “Melancholy Flower”, which starts off slowly, speeds up to incredible velocity. By the time they jumped into their classic song ‘Irene’ which incidentally, shows off Daz’s vocal genius and the band’s impeccable timing, the Adam and Eve didn’t know what had hit it. The whole place was jumping up and down with rarely-seen abandon. Ladies and Gentlemen, this Saturday January 31st, an unprecedented meeting will take place- Adam and Eve will play host to Mama Matrix. The originators of sin, the couple who bit the apple, the waif and the stray from the Garden of Eden, are taking the Mamas to their bosom for a night of feverish Balkan Gypsy hedonism, and it won’t cost you a penny to witness! Free entry from 8pm until 2am, with support from the dangerous Marc Reck and the unpardonable Hidden Half. We look forward to seeing you at The Adam and Eve Public House, Bradford Street, Digbeth. Prepare to be pleasured.